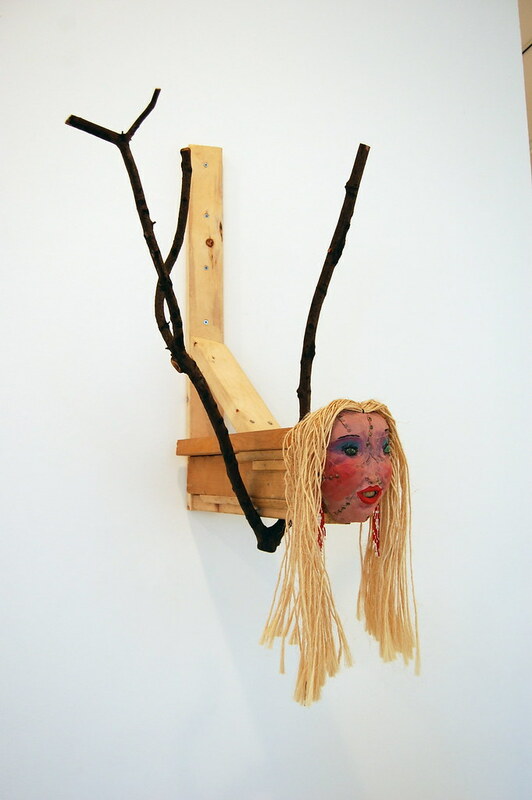 Jimmie Durham, Over the River and Through the Woods, 1989. 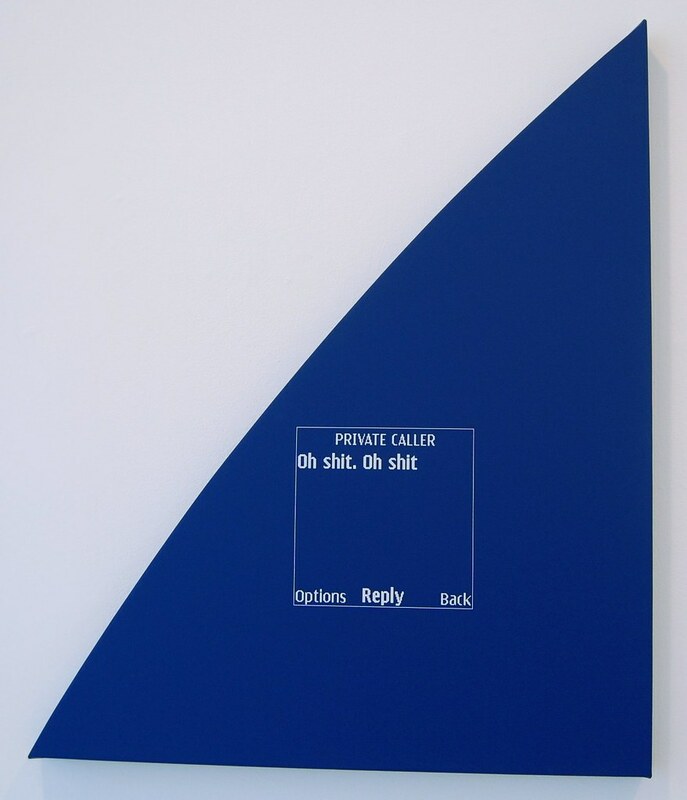 Adam McEwen, Blue Nokia (Private Caller), 2009. McEwen's Switch and Bait show of graphite Flavin lights and American Express cards, housed in a temporary space that Klagsbrun secured down on 20th Street, was one of the best-looking shows this year. He's apparently been busy, churning printing more of text messages. One is silkscreened here on top of an Ellsworth Kelly. 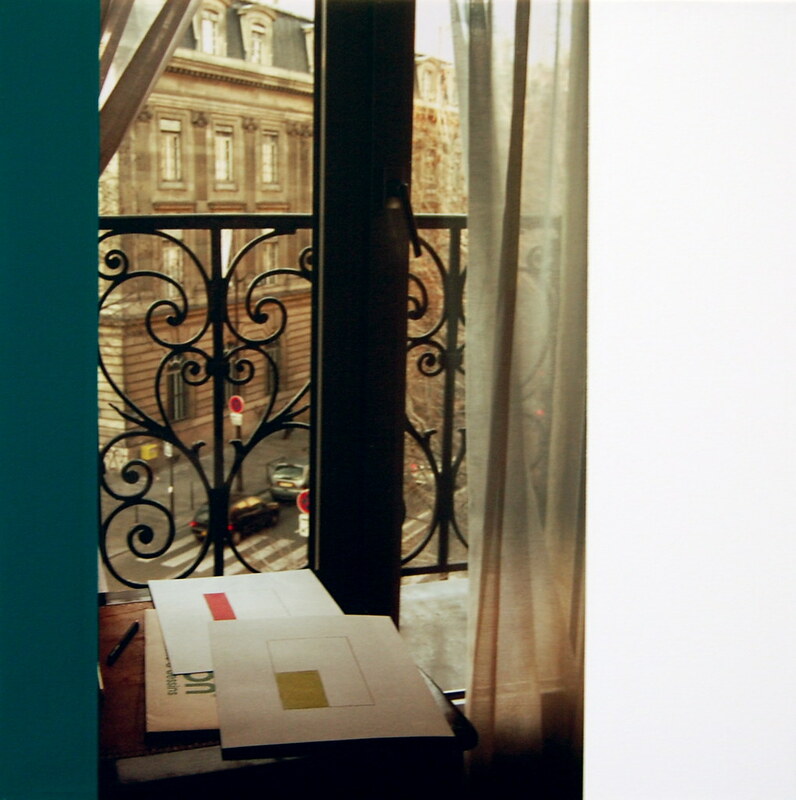 Ian Wallace, Hotel Room with Abstract Drawings II, 2008. 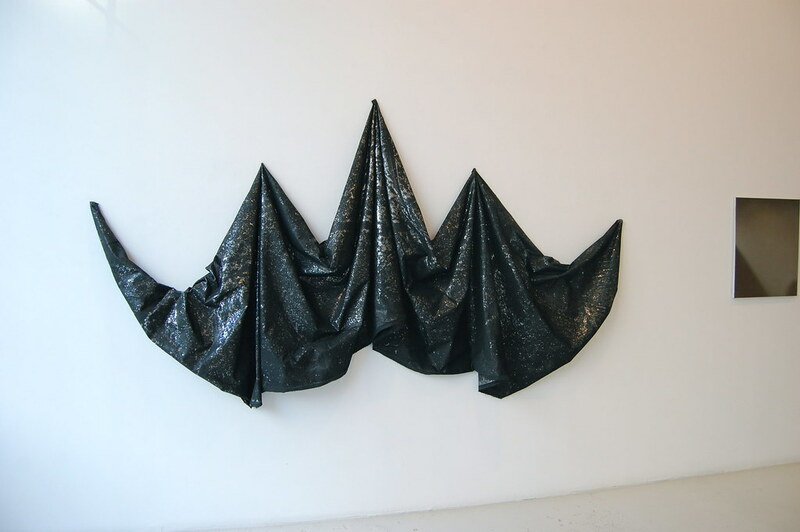 Rashid Johnson, The Great Galactic Coat, 2007. Johnson's piece easily wins the award for best title in the show. The coat looks airy and wearable, but it's actually made with fabric, clay, glass shards, and paint. A series of six photographs from the increasingly omnipresent Bas Jan Ader's Untitled (Tea Party) is on display, depicting the artist being lured to a picnic feast underneath a wooden box propped up by a stick. The luncheon ends badly. Meanwhile, Beth Campbell reconfigures Mark Lombardi's conspiracy networks to map out her imagined futures in a compelling "Choose Your Own Art Adventure" drawing. 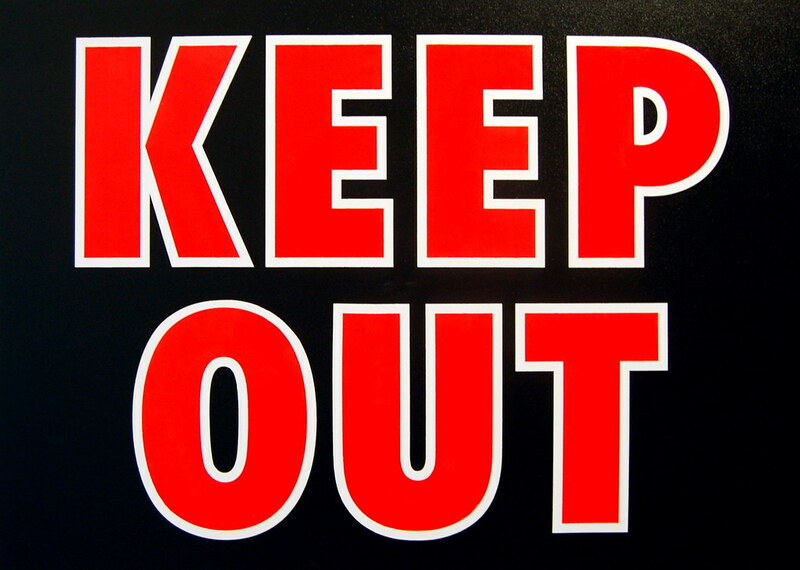 Will she retire to the life of a cocktail waitress or wade through the recession to find art world fame and glory? You get to make her choices, follow the lines of her drawing, and find out.